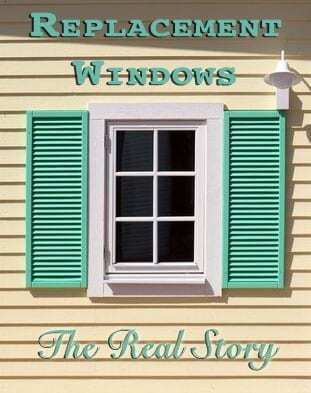 The replacement windows industry is out to sell a product and sell it often. I won’t hide my bias here. I am not a fan of replacement windows. It’s nothing personal. They are clear about their intentions. They want everyone to get rid of their historic windows and install new replacement windows. But I am especially upset with the way they are misleadingly marketing to homeowners. I have no problem with someone believing in a product and promoting it, but these window manufacturers make extraordinary, and often unfounded, claims about their products. In fact, several replacement window companies were sued by the FTC for making false and misleading claims about how “efficient” their products really are. Read more here. You see the commercials claiming MASSIVE energy savings, but don’t hear the news coverage about the lawsuits for false and misleading claims so the public continues to believe the lie. These companies know that if they can get you to bite on the first sale then they will have a customer for life. Once you replace your home’s original windows you are now stuck in a constant cycle of having to replace windows every couple decades. Don’t fall for the hype: “They are called replacement windows because you have to continually replace them.” <—Click to Tweet this! Don’t believe me? Let the facts speak for themselves. Here is a breakdown of the warranties offered by four of the largest replacement window manufacturers in the country. These are in their own words from their own websites. Wood & Clad Windows: 20 yrs. Vinyl Windows: As long as you own AND occupy your residence, otherwise 10 years (not transferrable after 10 years). These are not exactly stunning warranties from the Big-4 manufacturers. A 20 year warranty on glass? Since when does glass wear out? If you’ve spent more than 5 minutes on this site you’ll know that I am a HUGE proponent of saving original windows. Whether they are wood or steel the original windows are a vastly superior product to anything on the market today (despite what the commercials say). Are replacement windows more energy efficient than un-restored original wood windows? Probably. That’s right, single-paned wood windows that have been neglected for decades are not terribly efficient. But that’s not the end of the story. In that case, you have an original wood or steel window that has better energy efficiency than a replacement double-paned window. The best part of the whole thing is that your home’s original windows, once restored, can last another century with minimal maintenance other than occasional painting! Am I biased because I own a historic restoration company? No, I own a historic restoration company because I know the truth and the truth has set me free, as my favorite book says. Do replacement windows make good financial sense? Let’s do some math and find out. According to Remodeling Magazine’s 2014 Cost vs Value Report, replacement windows have a 81% ROI, meaning that for every $1,000 you spend on replacement windows you will recoup $810 in value. I don’t know about you, but I hate to give someone $1,000 in exchange for $810. That’s just not smart math. What about energy savings? You will get a marked improvement in energy usage if you replace old windows with new initially. Of course, you’ll get the same, if not better, energy savings by restoring, weatherstripping, and adding storms, but let’s focus on the replacement windows right now. Say you have 15 windows that you plan to replace at $500 each, which comes to a total of $7,500. Since most studies show that windows can account for about 20% of heating and cooling costs (not total utility costs) lets assume that you will save about 10% on your heating and cooling costs with the new windows, which would mean that the new windows have cut those costs in half. That’s a huge improvement! So, my replacement windows will pay for themselves in approximately 23.5 years. Remember that’s more than 13 years after their warranty is up and they’ll be ready for replacement again. This math just does not make sense. In the end it’s not just about the math. To me and many others, a home’s original windows are something beautiful. They were custom made by excellent craftsman from fantastic materials. There were built to last. And if you will let them…last they will. Hey, In my fifty years old house I want to replace my doors. Will you provide some information about that company who will provide me with this facility in the USA? Hey, I have purchased an old house. The interior of the house is good but I want to replace my doors. Will you provide me with the best company who provides this facility in the USA? Hey, I have purchased an old house. The interior of the house is good but I want to replace my windows. Will you provide me with the best company who provides this facility in the USA? There are several advantages to hiring a professional for window replacement projects. They are knowledgeable, efficient, and good at knowing which windows work best for your area. They might also have suggestions which will drastically improve the beauty of your resulting upgrades. This post cover entire conspiracy created by some greedy windows and doors manufacturers companies to make extra bucks. I hardly see anyone repairing old windows and doors of house instead they really force them to replace. I think it is because it easy to replace than repairing old one. But one got to understand and that some memories are attached with the old structure that you are asking them to get replace. I really want to thanks for clearing the air about the trick companies using to make money and destroying craftsmanship. Scott, this is a great and timely post! Thank you! We are in the early throes of designing and building a “100 year-old brand new Craftsman bungalow.” Maybe you only restore and do not build, but I’m curious now. Our architect and contractor are dead set on installing premade, metal, double pane glass “off the shelf.” I had no idea about windows until reading your page. It appears we will need about a dozen 7′ windows. What would you charge, approximately of course, or what do you believe the going rate might be for authentic windows? Come to think of it, the off the shelf windows are all 3′ high. Would that be authentic, or if I ask to have windows made should I request a different dimension? Thanks if you get a chance to answer! Great post, highly resourceful. I also consulted some of the credible window manufacturers in my town and came across the same stuff as here. The warranty on glass is not in case the glass wears out, and you certainly should know this. 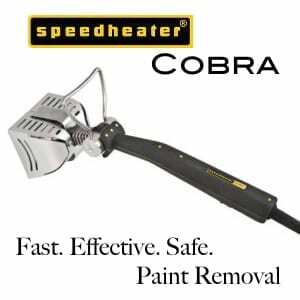 It is for when the seal fails and it gets foggy between the panes. Also, if glass breaks due to manufacturing defect or improper installation, this warranty kicks in. Or maybe you were just kidding around.n? I have a few lovely original windows in my built-in-1890’s home in Kansas, but the rest are vinyl clad and I want to replace them with windows more true to the original. I despise the non-breathable solutions architects are sold on, now we have problems with carbon monoxide and radon because of it. How do I go about finding reputable manufacturers of historical windows in my area? Hope, we manufacture and ship historic windows nationwide. You just have to have a local contractor install them. 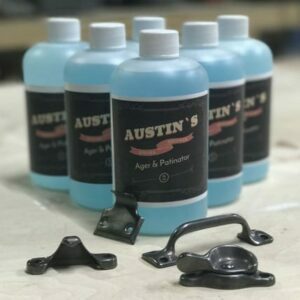 Drop us an email at info@austinhonerestorations.com and we’ll be glad to help you! I am wanting to replace incorrectly replaced windows with more accurate windows, in a craftsman bungalow. So now the research begins, sigh. Where to begin?? Try woodwindowmakeover.com. 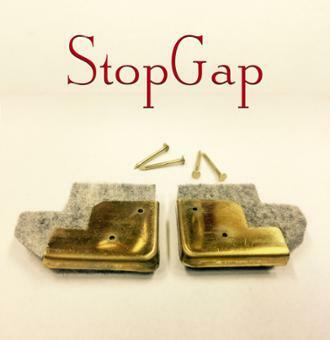 They make historic replica window sashes and jambs that match beautifully and ship nationwide. Living in an older house in a historic district, this is one of my pet peeves, destroying old windows and replacing them with the fad of the moment. 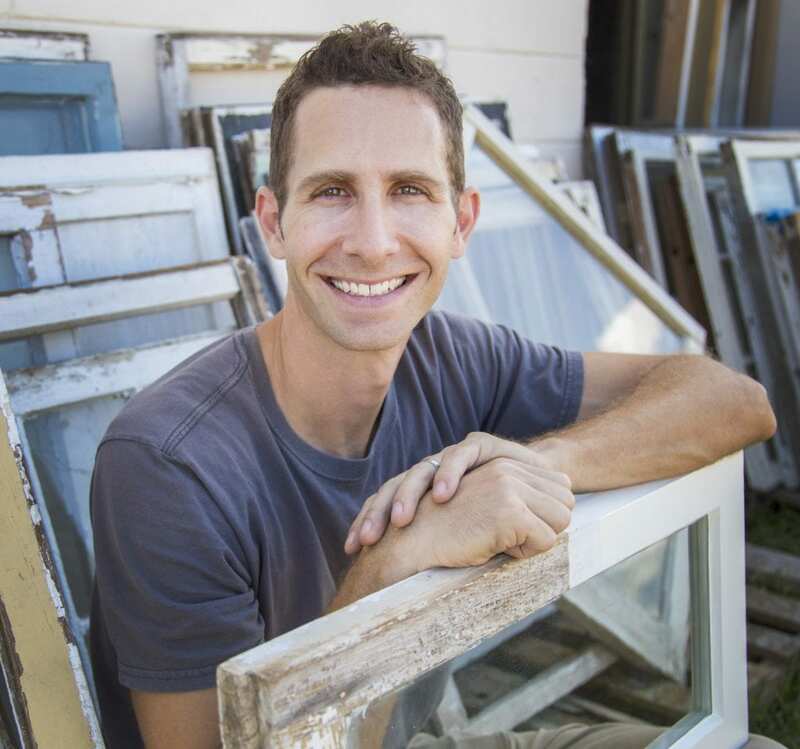 Antique wooden windows can be repaired by any competent carpenter or even a skilled homeowner; can the same be said for mass marketed replacement windows? Yes, old windows leak a bit of air, but the fixation with hermetically sealed houses is insane, and not healthy; houses (and people) need to breathe! And what about the trim around them? If that is quality work, do you want to have to replace that every 20 years too (if you can even get the materials)? If you’re building for generations as opposed to a quick profit, maybe a return to the older materials and methods is worth considering. We bought a 1950’s California ranch. All the windows have been replaced with vinyl. I am dying to change them, as the front of the house is very plain, and they used fake French paned vinyl windows. I also am dying to use something like steel windows, or doors – the back of the house opens to a courtyard, they used sliding wood interior, vinyl exterior doors all along the back, 6 doors, 2 openings, and in the master bedroom. what can you suggest? We have a bungalow-style house from 1920 and love the original windows – but the frames and the trim have started to rot (these are probably the original windows). Other than restoring each window and frame (not sure we have the time or manpower, and at least 20 windows), do you have any suggestions for what to do? Hi there- I worry about lead based paint on old windows in a 1928 dutch colonial we are purchasing. Since there is friction- doesn’t that make the lead particles airborne, increasing exposure? What would you recommend to remediate the lead in order to keep the old windows? Or would this be a situation in which you would endorse replacement? Thanks! Just purchased a 100 year old Colonial in Maplewood, NJ. We have what is called a Maplewood room – or a 3 season room. Basically, a porch with 3 full walls of beautiful casement windows all around. Despite the fact that the room is considered a 3 season room, there are radiators and ideally we’d like to use the room all 4 seasons. Any recommendations for local craftsman who can help with custom storm windows? And all the original windows in the house – which are most of them, need a bit of refurbishment. Any suggestions are greatly welcome! i love my old windows and want to bring them back to their original glory!.Thanks! Kristen, check out http://windowpreservationalliance.org/directory to find a local window pro to help you! My girlfriend I have recently purchased a craftsman home in Southern California which has original window frames with non-original casement windows. Since the windows are non-original and were not constructed well at all, I would like to craft my own. However I am torn as to whether or not I should make historical replicas (i.e. singe pane windows), make double glazed windows, or craft the head, rails, etc. and buy insulated glass to fit. I should also note that the windows I plan on replacing face a noisy street so insulating glass may be helpful though a tighter fit i’m sure will go a long way as well. Do you have any suggestions? Mauricio, I would steer clear of insulated glass. If you build your own Windows try 1/4″ laminated glass which will give you great sound dampening and energy performance comparable to insulated glass but without the headaches of the inevitable failed seals. My husband and I just purchased a tudor revival home built in 1929. It still has a few original windows, but many have been replaced. Is it possible to “come back” from vinyl windows, or does something about the installation process make it so that older style windows no longer work in the space? Katy, you can always go back to an original style window. The trick is finding a craftsman to build and install them. Search your area and if you still can’t find someone let me know because we build and ship windows across the country. Scott, we have pretty low-grade double paned windows that were installed in 1978. Anderson, builder’s grade or something like that. We cannot clean the windows because they are dirty on the inside. I guess they were badly made and let in air and moisture. What do you suggest for those? We were thinking of replacement windows just so they wouldn’t look so gloomy. Chip, that is the inevitable end to builder grade double paned windows. You can replace the IGUs but that may not be worth it at their age. Sadly, I would say that replacement windows are your best bet. Maybe get high end single paned windows and add exterior storms or interior storms like Indow windows to get the efficiency you want without the chance of fogging up glass in the future. We have a condo in a 15-unit building. The windows are metal casement. Each window has 16 panes of glass that measue about 10″x12″each and are encased in metal. Can these windows be preserved? 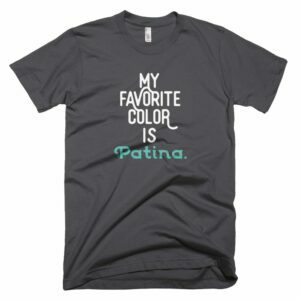 Absolutely, Martine! We have just spent a whole summer restoring close to 100 of these windows. Check out my book on the process. I’ve outlined everything you need to know about how to restore them effectively. 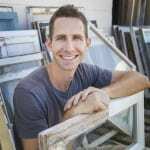 I’m so glad I came across your blog after watching the YouTube video to learn how to reglaze my old windows. I was doing this “patch up” until I decided on which replacements to go with. You helped me see the light. Now my question is, I have 18 windows in sore need of attention. Is there a company (*I live in Missouri) that does this kind of work? Rachelle, try Marion Rood in Glen Carlson, IL emrude@gmail.com to get your old windows restored. If that doesn’t work let me know. I love your position on old windows. People would not dare consider removing the old stone or brick architectural features of a building but remove the windows without a second thought. When you consider that windows often make up between 5 and 20% of a given facade…what are do they think they’re doing? I oversaw a restoration project where two long vacant bungalows in the suburbs were parted out (prior to being destroyed by the fire dept.) in order to restore many missing features of an urban bungalow. We salvaged all the windows, interior doors, siding, brick, staircases, flooring……and everything including the wood windows fit perfectly in the renovation house. That’s how darn good the original stuff is. Replacement windows, like vinyl siding, are not sustainable and never biodegrade. When burned they emit toxic fumes. And I have seen more replacement windows in pitiful shape than original wood or steel windows. And I was a landmarks staff consultant for 26 years. I cringe when I see an older home with replacement windows! It just does not look right. The windows are the “eyes” of the house and when they are original, they just look amazing! I’m so thankful my old house still has ALL of its original windows. And in a few years, we’ll be able to break the seal of paint, restore them, and let the fresh air in. I can’t wait! 🙂 Great post Scott! In 1961, purchased a house built 1926. Had storm windows installed in the 70s.Which prevented any further window deterioration. Have washed these windows numerous times as well as windows on newer houses. My old windows leaked much less water, so they are much tighter. Recently when looking for another house to purchase, ran across a couple of houses with “insulated” windows. These houses were built in the 90s and the windows were leaking already! So glad now that I never fell for that “window replacement” trap. plus replacement windows just lend a certain cheap & tacky look to a house that previously had some worthwhile architectural character. honestly, people who don’t understand this really have no business owning a historic home! and yet… the atrocities i see everywhere! ::shudder:: there will never again be historic homes. nothing has been built recently that will last, let alone stand the test of time. what little we have now is all we will ever have and people need to grasp that these are, collectively, a national treasure, and warrant some reverence & respect. Thanks, Scott. May I propagate this fantastic article every time I hear or read about replacement windows being the best option for home owners? Please do Catherine! It takes a village to save these old windows. In your experience what have been the best windows for use on an addition to a historic home? Nancy, we build replica windows to match the originals that way there isn’t any difference. There are quite a few companies that do this across the country. If you can’t find anyone let me know and we can build and ship you some. I hadn’t thought of building replicas. Our architect specified Anderson wood clad and the were approved by our Cultural Heritage Board but they are very expensive. I’m wondering if it might be cost effective to build. Anderson wood clad windows only come with a 10 year warranty. Historic replicas will probably be around the same price but will look like a perfect match and last much longer if built properly. I just replicated two windows using wood sashes from a local recycling center. My expenses were $4 per sash, reclaimed heart pine (free), and weather stripping. It’s totally doable DIY project. It took about 1 1/2 days to complete. The windows look like they’ve always been there.